 Seattle Central offers short-term certificates, associate degrees and an applied bachelor’s degree to help you prepare for a career in the education and human services fields. Applied Behavioral Science (Bachelor of Applied Science): Build on the education and human service skills you've already learned to earn your applied bachelor's degree at Seattle Central. Chemical Dependency Specialist: Addiction is a powerful force, and it affects not only users but also their family, friends and community. Learn to provide effective counseling and help people reclaim control over their lives. Early Childhood Education & Family Studies: Early learning is the key to lifelong success. Discover how education and environment can shape lives from a very young age, and put those practices to work as a childcare worker, advocate or teacher. Social & Human Services: Positive social change starts with a foundation of real-world skills. Earn your associate's degree while studying human-focused topics like communication, psychology, sociology and group dynamics. Fundamentals of Care Navigation & Coordination: The courses in this certificate program cover navigating and coordinating care in health and human services systems. For parents and caregivers with children aged 2 months to 2+ years, we offer low–cost parenting classes taught by child development professionals. If you would like to enroll, please call 206.934.6906 or email ParentChildCenter@seattlecolleges.edu.